A decade manufacturing and installing high-performance factory finished engineered Timber Windows, Doors and Roof Lanterns. 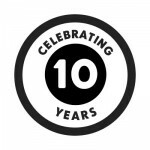 This year marks ten years of Stanbrook and Nicholson and a lot has changed since our humble beginnings. Check out our timeline of our first decade of trade. Ben and Simon met during school whilst both studying joinery. Once they left school, they starting trading out of a small workshop that they sub-let. Stanbrook and Nicholson became a Ltd company and took on a small unit at Bramble Farm where we started building our product offering and client base. S&N continued doing general joinery for customers; making products such as stairs and furniture. This gave us the opportunity to expand the service that Stanbrook and Nicholson could offer clients and we started specialising in window and door manufacture. We took on extra premises at Bramble Farm to deal with our increase in demand. We started fully factory finishing all of our products. This includes windows, bi-fold doors and roof lanterns. This allowed us to show off our premium products first hand, with experts on site to give customers bespoke advice. Due to our ever increasing demand, we continued expanding our workforce through our very own Stanbrook and Nicholson Apprenticeship Scheme. Once again, expansion was necessary to servicing the increase in demand, leading to us purchasing a purpose built, state of the art factory. We relocated to our 20,000sq ft state of the art premises with brand new equipment such as a CNC router. Our full service offering is now all housed under one roof.